The pubs in Coventry close on a Sunday at around the same time people go out for a drink in rural Ireland. Our Red Army platoon went in search of more. I wasn't that gone on the hotel. I was searching for my laptop and it so happened that the last occupant left a burger and chips under the bed, which was most hospitable of him. It was a four-star, but it was one of those places where you wear the clothes in bed for fear of being bitten. The beer was warm and flat. The grog tasted as if it had been brewed in a surrogate bladder. The wary staff lived in dread of visiting soccer teams and they were sure we would wreck the hotel bar. The first late pub we visited had more drugs for sale than Boots. We asked the police, who happened to be raiding the place at the time, for a recommendation. The constable's pick was a late drinking spot in a nearby shopping centre next to Tesco. We passed the statue of the naked Lady Godiva riding her horse. Her shameful carry on must have been frowned upon by the Munster supporters. Lady G had a Munster top pulled over her head. But the streets were as empty as the time the Germans bombed the place to smithereens. The only evidence of life behind the green door next to Tesco was a red star. Maybe we thought it was a branch of the Mayo Supporters Club. The Fields of Athenry was being sung in a bar that housed the real Red Army. The place was packed with Munster fans, both men and women. We sang Stand Up and Fight, Sean South and The Banks. Slievenamon followed on. And of course we couldn't forget the topographical (It's a Long, Long Way) From Clare to Here. I helped out with The Rose and the Waterford lads sang Dungarvan my Hometown as if the Déise had just won Liam. I was up at the counter, or should I say I was up on the counter. I spotted this tiny older lady and I could see she was making her way towards me. She was wearing a fluffy Munster eiderdown jacket with a red fleece inside. There was a red jersey inside the red fleece and the hand-knit red scarf was wrapped around her as tightly as an asphyxiating python. And, seeing as most of the heat of the body is lost through the head, the lady in red wore a woolly hat that came down well over her ears. I was afraid the elderly Munster fan would collapse from the heat. "Are you Billy Keane?" she asked. "I am that very man," says I. "Well," says she. "I'll bet you won't be writing about this tomorrow." Earlier that day I wandered out towards pitch side near the tunnel. It was about an hour before the game and already our fans were singing The Fields. Anthony Foley was looking out on to the Ricoh, all on his own. He was in the moment. Axel was dressed up in red, but it was his good suit he was wearing. Our captain from our win two years before didn't make the match-day 22. We chatted for a while and there wasn't one word of complaint out of him. He was Munster first always; it was team before self. Axel said he was more nervous than if he was playing. "How about Leamy ?" I asked. Denis had replaced Foley at No 8. "He's a Munster man," replied Foley, and coming from him that was a good enough endorsement for me. Leamy was great. Wasn't he always? Munster were hot favourites 11 years ago. This time Saracens are 2/7, while there's a nine-point handicap spread. I can't remember Munster being such outsiders in a big European game. Luckily the semi-final will not be played in the bookies shop. Munster are still hurting from the hammering Saracens gave us at the Aviva two years ago. The hurt from a bad beating can manifest itself as either fear or valour. I am certain Munster will not be afraid. Munster are never afraid. There is trouble in the Saracens camp. Billy Vunipola would hardly have approved of the sing-song in the Russian pub next to Tesco. Fair enough, but Vunipola supported homophobic comments from Australia's Israel Folau. Vunipola is a key player for Sarcacens. Will he be picked to play against us on Easter Saturday? The decision may well be made by the employment lawyers. 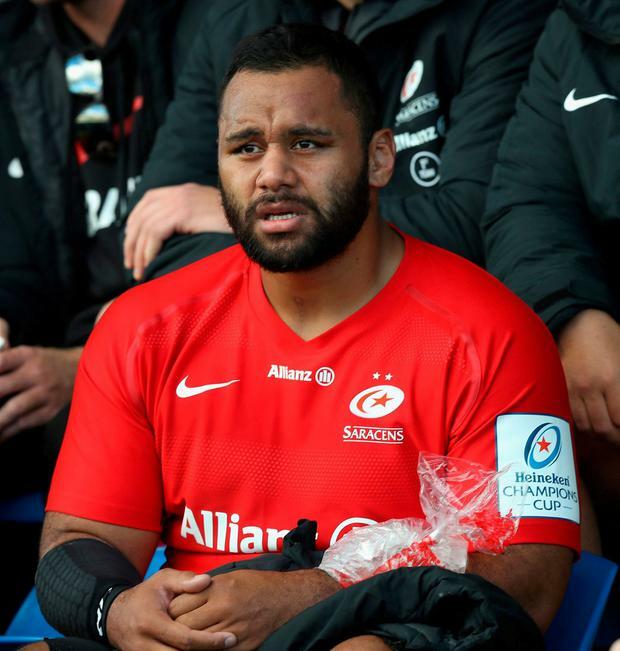 There is no doubt that Vunipola has caused hurt to our gay brothers and sisters, but the England international will claim his religion supports his extreme views. Vunipola says he doesn't hate anyone. Saracens are bound to be upset. The controversy will build and build all week. The heart always rules the head when it comes to the men in red. We would have won nothing if we listened to the logicians, the statisticians and the 'we're bate before we go out on the pitch' brigade. Munster will have massive support. The Irish in Britain will turn Coventry into Limerick in a type of reverse Brexit. The heart pounds and the eyes fill with tears when we sing as one on foreign fields. These are the days we never forget. No one does away from home like Munster. The bookies say Munster would beat Saracens only twice in seven times. Just once will do us just fine.